A well-designed dock looks beautiful and performs effortlessly. From Solar Lights to Dock Furniture, Steps and Ladders to Cleats and Bumpers ShoreMaster dock accessories enhance both the look and functionality of your dock system. 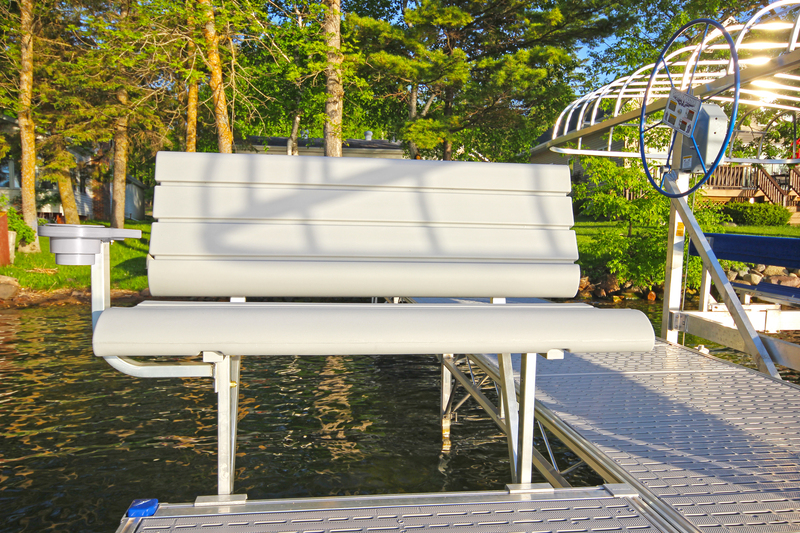 Adding the Off-Deck Lakeview Dock Bench to your dock system provides comfortable, durable seating without sacrificing valuable dock space. It’s contoured seat and back rest are shaped to provide you with ergonomic comfort. 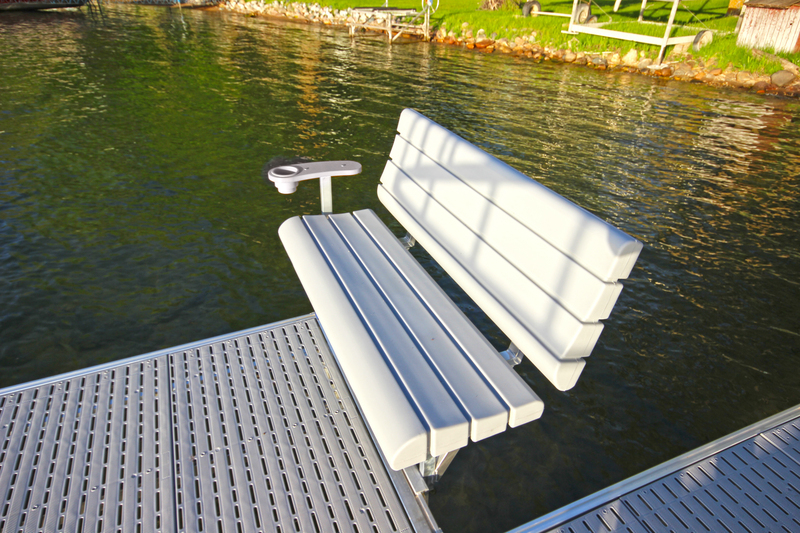 The Lakeview Dock Bench features rotationally molded seat and back rest, and an aluminum frame so it looks great and requires virtually no maintenance. 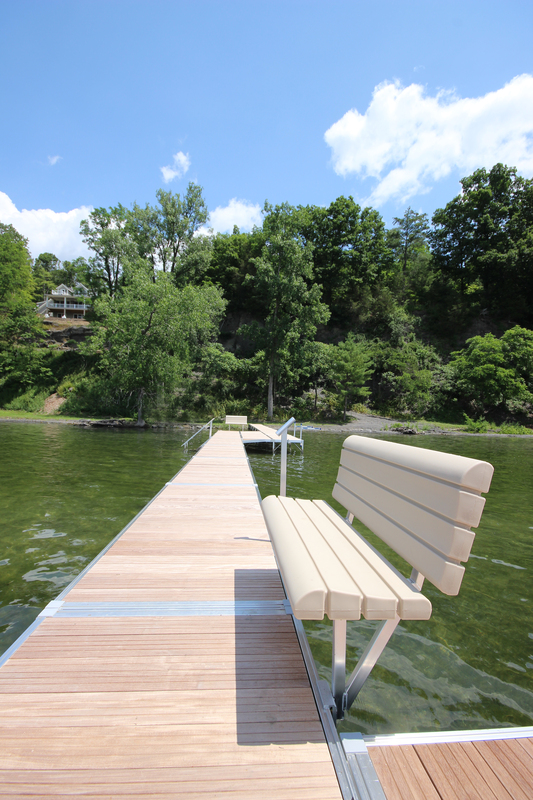 Installation instructions are available for all ShoreMaster docks, boat lifts and accessories. Please reference installation instructions for individual products and/or coordinating products listed in specifications. Local dealers and our Customer Support Team are also available to help answer any questions.